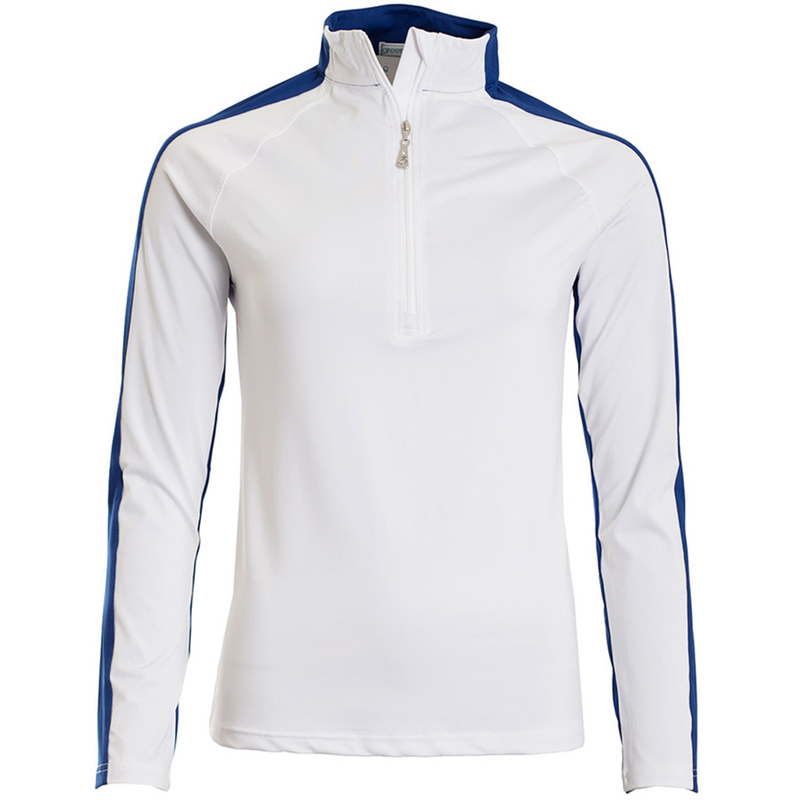 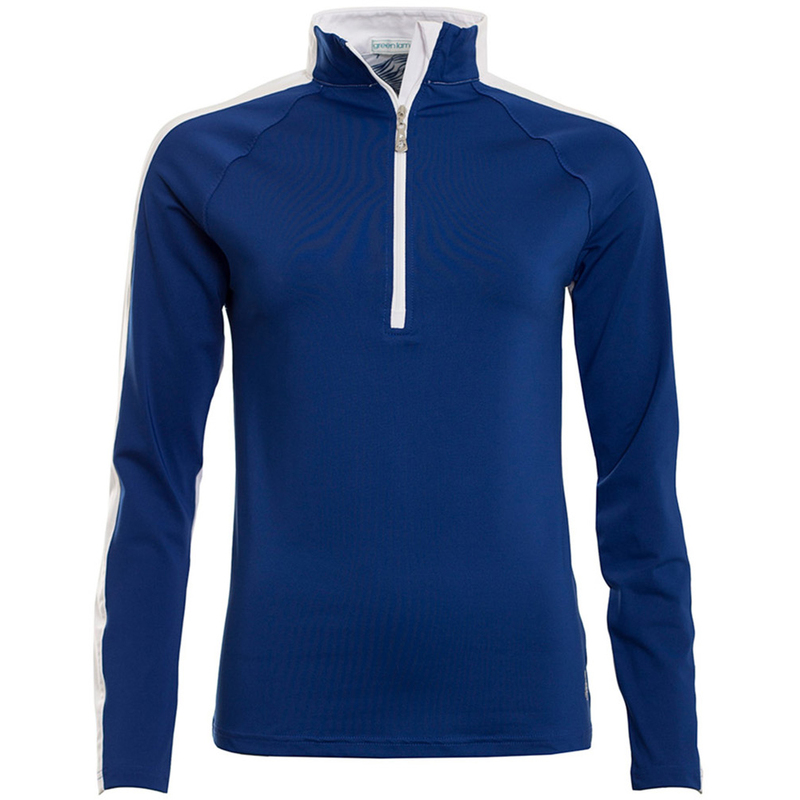 This lightweight and breathable layer, offers a fantastic performance out on the golf course. 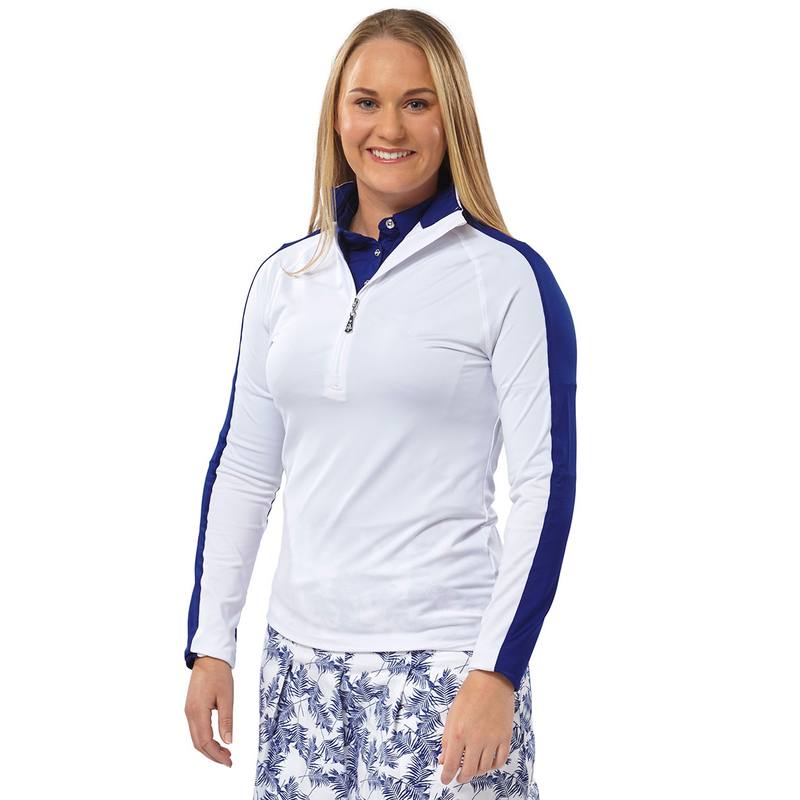 Made with a tech performance fabric, which has moisture wicking properties to keep you dry, and offers an high UV protection rating of 50+, which is perfect for playing outdoor. 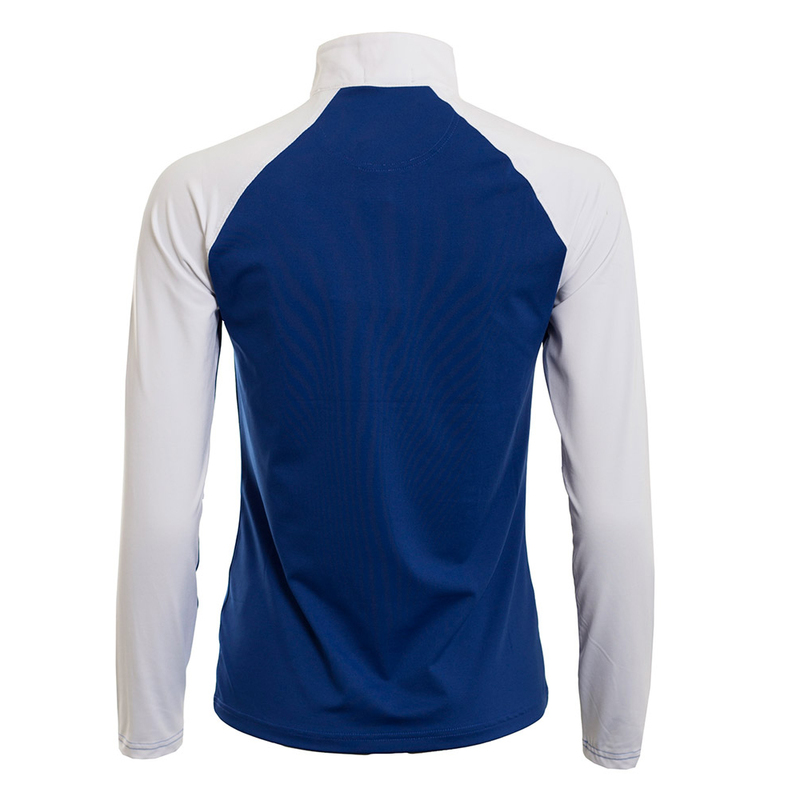 The garment is further enhanced with stretch to give you increased mobility, and offers better shape retention to keep you looking your best. 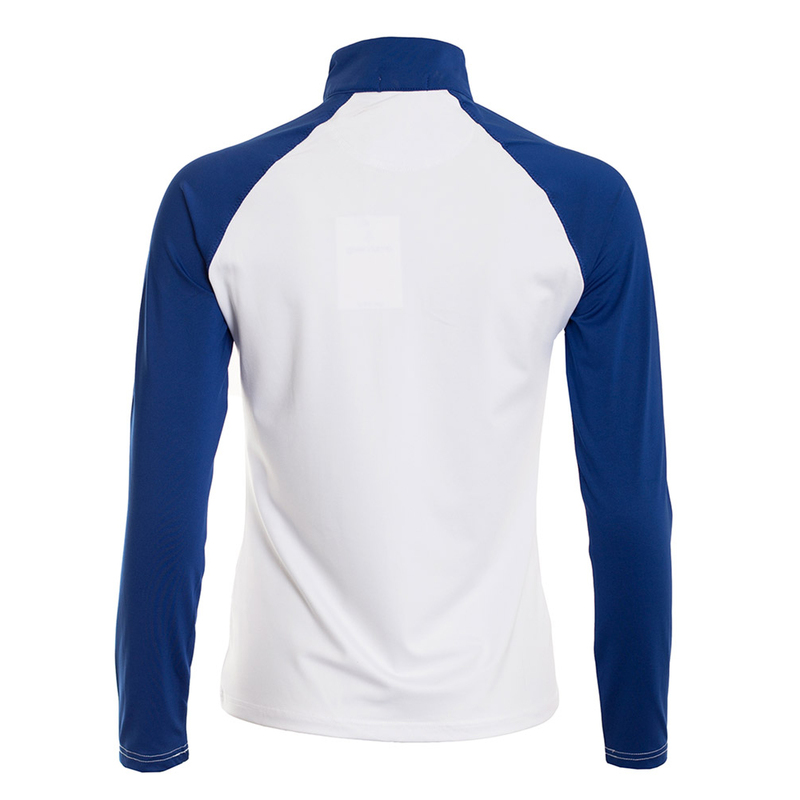 Designed with long sleeves, half-zip opening with high collar, and expertly finished with a silver stud Lamb logo on the front hem.